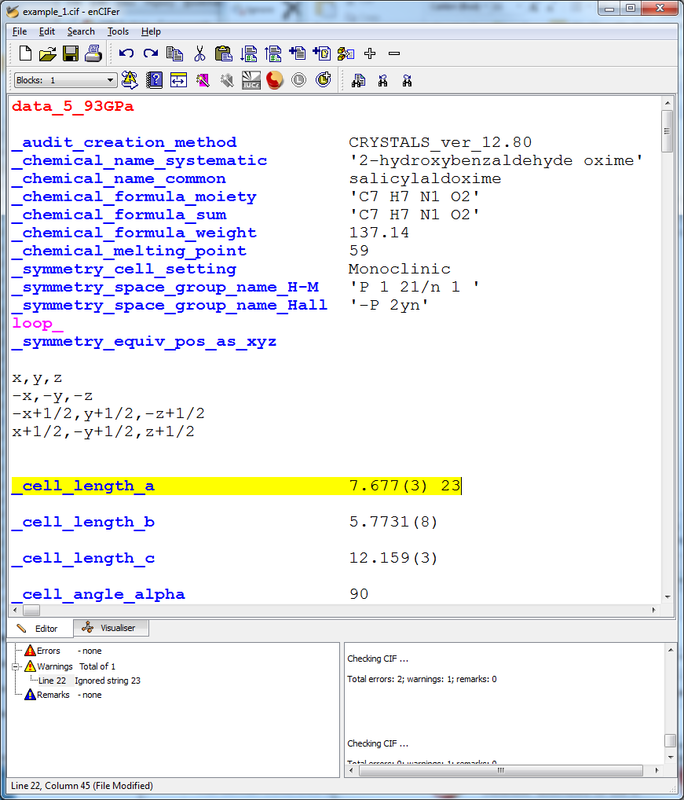 The Crystallographic Information File (CIF) is the internationally agreed standard file format for information exchange in crystallography. 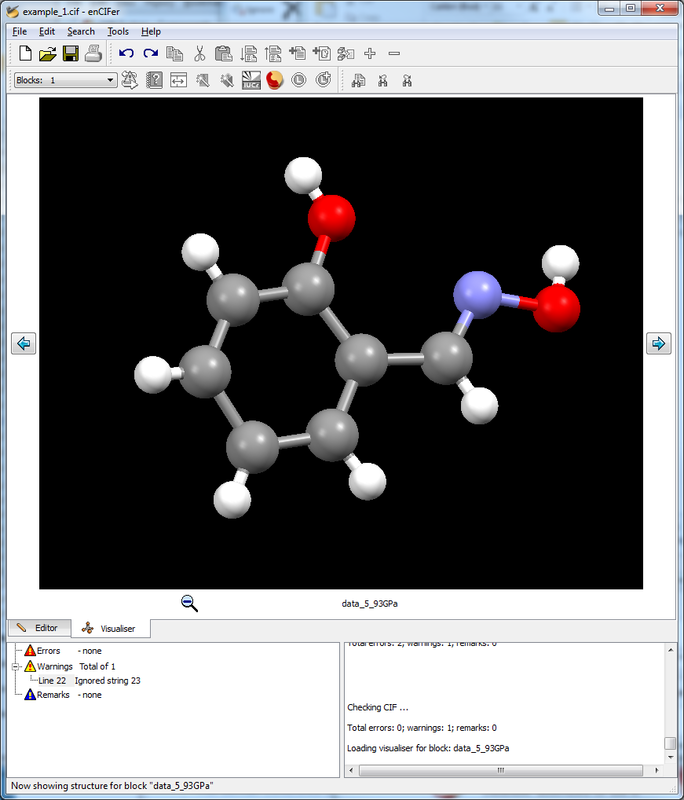 The CIF standard is supported, maintained and developed by the International Union of Crystallography (IUCr) and most major journals require electronic data depositions in CIF format. enCIFer enables users to validate CIFs and ensure their files are format-compliant for deposition with journals and databases or for storage in laboratory archives. enCIFer should also be used to add information safely to CIFs without corrupting the strict syntax. enCIFer is available to the scientific community, free of charge, as a part of Mercury. Please note that as a free service, CCDC may be unable to provide support for enCIFer.